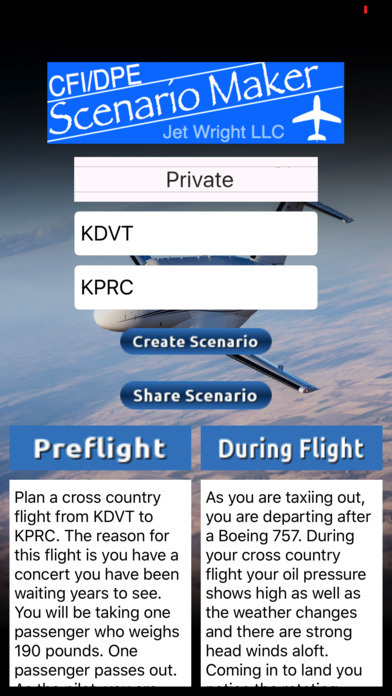 JetWright's CFI/DPE Scenario creator creates randomized scenarios for teaching and evaluating private, instrument and commercial pilots, and for flight students to practice their skills in evaluating a cross-country scenario. The FAA has mandated scenario based teaching and testing and has published a list of events and triggers to use in scenarios to teach and evaluate flight students. This app takes scenario creation to another level. JetWright has included hundreds and hundreds of events and triggers that are all randomized to create a unique scenario each time. This scenario can then be shared with the student/applicant via text or email. We recognize that as a new or even experienced flight instructor, it can be difficult to come up with scenarios, especially good ones that include everything from weather to mechanical issues to environmental issues. As an examiner or evaluator it can be hard to keep your scenarios fresh and unpredictable. As a flight student it can be hard to study, practice and even understand what will be expected of you in scenario based testing. With this CFE DPE Scenario app you can get a new, randomized scenario each time you click the "Create Scenario" button. Simply select private, instrument or commercial, put in the origin airport, the destination airport, and click "Create Scenario". This will give you a scenario with two parts: preflight and during flight. If you don't like the scenario that was generated, simply click the button again and you will be given a completely different one. Once ready, click the share button to send the preflight scenario to the student/applicant. 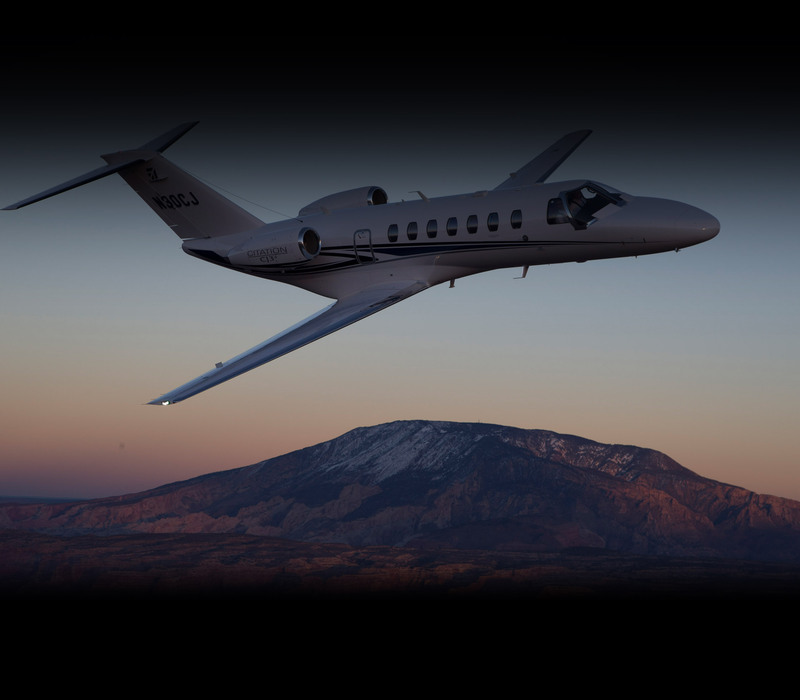 The during flight scenario is designed to be a discussion item during a flight test or a ground oral and is not currently designed to be shared. We have included hundreds of events and triggers and will continue to add to the lists. The events and triggers are designed to promote thought and are used to teach and evaluate Aeronautical Decision Making (ADM). Some of the triggers are intentionally ambiguous in order to promote discussion on multiple possible outcomes.